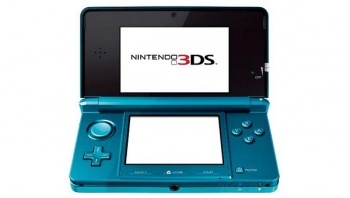 A revamped 3DS and an extra analog stick may be in store for gamers in 2012. After a less-than-stellar launch last June, disappointing sales and skeptical investors have kept the 3DS from becoming the shining gem Nintendo had initially hoped. The company's rescue response has been swift, already including free games for early 3DS adopters, an unprecedentedly abrupt $80 price cut, and even a personal apology letter from the big man himself, Nintendo President Satoru Iwata. Now, it seems like one more lifeboat might be headed toward the Titanic. A French news site is reporting an upcoming major overhaul to the handheld, including a second circle pad and a heightened focus on 2D gaming. According to 01Net's inside source, Nintendo is preparing to roll out a new, modified version of the 3DS which, aside from adding new controls, "radically tones down" its 3D capabilities. Ever weary that current 3DS owners may feel bamboozled by sudden improvements for new buyers, Nintendo will also reportedly be selling an external accessory to give "old" 3DS systems the same second analog stick as its freshly redesigned counterparts. The alleged insider goes on to report that Nintendo has already asked "a select group of developers" to get to work making games for its upcoming iteration of the console, as well as an accessory-modified version of the current 3DS. This secret source also asserts that many third-party developers are growing increasingly frustrated by the way Nintendo has handled this kerfuffle, claiming shortages in 3DS development kits and long waiting lists to receive one of the paltry 300 units being produced per month. Supposedly, all of these additions are slated for a 2012 release, though Nintendo has yet to confirm any of this. I'm generally not one for rumors, but 01Net does has some decent credentials under its virtual belt, releasing accurate specs for both the Wii U and the PlayStation Vita prior to official announcement. No matter what happens with the 3DS, we can be certain that Nintendo won't sit idly by while gamers and stockholders continue to grumble. Whether that revitalization will entail a re-branded console and external accessory, only time will tell.